The first passage interpolated to make up the new Antiquities narrative departs from the political and military exploits that were Josephus’s initial interest and propaganda for gentile audiences; the added anecdote introduces a theme much more at home among Diaspora Jews who found their identity primarily in traditions and texts of a maligned Judaism. This is but one of several interpolations that point to a different interest of Josephus twenty years after the destruction of his home-base of worship and cultural identity. I should make clear that this post addresses but one facet of Noam’s larger and more meaningful point. Noam compares parallels between much later rabbinic literature and related stories as we find in Josephus’s Antiquities. She demonstrates that the rabbinic parallels were not taken from Josephus but from a third source common to both the rabbis and Josephus. In this way we can begin to glimpse remnants of historical traditions, written or oral, that were extant in Second Temple times but have not been preserved in any other literature. The brief story of John Hyrcanus hearing the voice in the temple belongs to a distinctive genre of “priestly temple legends”. Another one that many of us are more familiar with is the story of the high priest of Jerusalem going out to meet Alexander the Great. A high priest stands between God and the people at a moment of crisis. The drama is not found in a gory description of a battle but in an account of God communicating with his mediator in the temple. But as to Callimander, he attacked the enemy too rashly, and was put to flight, and destroyed immediately; and as to Epicrates, he was such a lover of money, that he openly betrayed Scythopolis, and other places near it, to the Jews, but was not able to make them raise the siege of Samaria. And when Hyrcanus had taken that city, which was not done till after a year’s siege, he was not contented with doing that only, but he demolished it entirely, and brought rivulets to it to drown it, for he dug such hollows as might let the water run under it; nay, he took away the very marks that there had ever been such a city there. Now a very surprising thing is related of this high priest Hyrcanus, how God came to discourse with him; for they say that on the very same day on which his sons fought with Antiochus Cyzicenus, he was alone in the temple, as high priest, offering incense, and heard a voice, that his sons had just then overcome Antiochus. And this he openly declared before all the multitude upon his coming out of the temple; and it accordingly proved true; and in this posture were the affairs of Hyrcanus. Now about the high priest Hyrcanus an extraordinary story (παράδοξον) is told (λεγται) how the Deity communicated with him, for they say (φασί γάρ) that on the very day . . . on which his sons fought with Cyzicenus, Hyrcanus, who was alone in the temple, burning incense as a high priest, heard a voice saying that his sons had just defeated Antiochus . . . . (283) And on coming out of the temple he revealed this to the entire multitude, and so it actually happened. This, then, was how the affairs of Hyrcanus were going. the account is closed with “and so it actually happened” and then Josephus signals the end of the anecdote by adding “this, then, was how the affairs of Hyrcanus were going”, so returning the reader back to his main narrative. in this passage alone Josephus uses the expression “high priest Hyrcanus” — elsewhere he always speaks of him as Hyrcanus alone; we thus have an indication of a rabbinic or older Jewish source. There is much more detail than I can comfortably cover in a blog post but I hope I have given some hint of the sorts of arguments advanced by Vered Noam. So back to John the Baptist and Jesus . . . I have given but one small part of one of six detailed discussions of Josephan interpolations in Antiquities. So you have the general idea. So how does the above affect our discussions about the authenticity of any part of the Jesus passage (Testimonium Flavianum) and John the Baptist? If nothing else, I think the above should help us avoid focusing too much attention on the technical indicators (as per #1 to #11 above) of interpolation. Of course if there are other technical indicators of interpolation that do not overlap with any of the above then surely they will carry significant weight. Arguments relating to what we know about Josephus as a person, his values and interests, will certainly become central. Special thanks to Greg Doudna for alerting me to Noam’s Shifting Images. Noam, Vered. 2018. 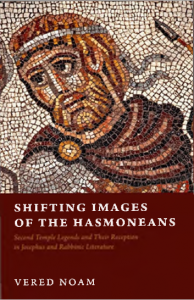 Shifting Images of the Hasmoneans: Second Temple Legends and Their Reception in Josephus and Rabbinic Literature. Oxford University Press. Posted on 2019-01-17 11:24:56 GMT+0000 by Neil Godfrey. This entry was posted in Josephus and tagged Interpolations, Josephus. Bookmark the permalink. 9. fails to mention John the Baptist in his earlier work and in the same context (i.e. the BJ ). He also failed to mention John the Baptist in his table of contents (AJ). N.P.L. Allen, ‘Clarifying the Scope of Pre-5th Century C.E. Christian Interpolation in Josephus’ Antiquitates Judaica (c. 94 C.E. )’, Thesis submitted for the degree Doctor Philosophiae in Greek at the Potchefstroom Campus of the North-West University, May 2015. “Curriculum vitae: Nicholas P L Allen | North-West University”. nwu.academia.edu. The result of the investigation proves beyond reasonable doubt that no reliable extra-biblical/scriptural accounts exist to support the historical existence of, inter alia, Jesus of Nazareth, James the Just or John the Baptist. Certainly, no such accounts ever appeared in Josephus’ original texts. Furthermore, and most importantly, the three passages are confirmed to be total forgeries initiated in the first four centuries of the Common Era most likely by Origen and Eusebius respectively. The nagging question that keeps bugging me is Who? Who/what Christian group was responsible for the interpolation? It doesn’t look like anyone from “proto-orthodoxy”. The other question is accounting for the Mandean foundation myth (from JB). I can’t see how their JB somehow mutated from any of our canonical gospel portrayals. There is no doubt that the JB in Mark and Matthew was created from OT details. Luke removes the Elijah trappings in order to (presumably) give Jesus the Elijah role so he considers the character someone to play with and reshape as a literary/theological figure. I would like to take time to think Greg’s thesis through. It’s a problem. I’ve seen comments that John the Baptist was an early example of Merkabah mysticism (which continued to develop into producing a distinct set of writings, and leaving its impression on Rabbbinic Judaism as well). The commentator said John’s connection to Merkabah mysticism hasn’t yet been investigated much. It is speculated that John had a role as revelatory prophet who saw heaven’s mysteries (the origin of that tradition may be tied to a rebaptizing group in Palestine). Rachel Elior has traced the Merkavah tradition, the Heikhalot literature, some of the Qumran writings, and [some] apocalyptic writings to a pre-Hasmonean Zadokite priesthood which placed special emphasis on books such as Chronicles, Ezekiel, Enoch, and Jubilees.The Zadokites thought of themselves as the guardians of a sacred covenant which was in danger of being broken by the Jerusalem priesthood. The absence of a physical Temple was a crisis which was resolved by the idea of a Heavenly prototype with the Holy of Holies mystically transformed into the Chariot Throne of Ezekiel’s vision. I have so much I want to catch up on re mysticism and gnosticism, including in the Second Temple era, both the old scholarship as well as the new. Questions demand answers, but so far my questions far outnumber answers. JB’s attire & diet in Mark 1:6 are similar to those of Banus in Josephus’ Vita. JB’s demise has parallels to that of Theudas. Yes, there are interesting overlaps. Mark 1:6 is much closer in part to 2 Kings 1:8, though. But yes, there seems to have been some sort of “type” or “template” of persons going to the wilderness as prophets of some kind. I wonder to what extent these are literary types or historical types. This demonstration suggests Josephus had “assistants” who were both fluent in Greek and well read in Latin. There are several passages in Josephus’ works that have literary parallels with Livy’s account of the Bacchanalian Conspirators. The author(s?) of Jewish War used a common narrative format, or a type of quick-to-write standardized plug in narration, to report on the Judean leaders who resisted or attacked the Romans. The TF follows this pattern closely but not exactly, suggesting the TF was written by someone who tried to imitate the writing style of Josephus (and his possible assistants). The account of John the Baptist appears to be a heavily redacted Josephean text that was moved from its orginal location in Jewish Antiquities. This is an interesting hypothesis. Do we find a date earlier than Eusebius (circa 300+) for any of these things being in Josephus? I would like to have told Celsus, when he represented the Jew as in some way accepting John as a Baptist in baptizing Jesus, that a man who lived not long after John and Jesus recorded that John was a Baptist who baptized for the remission of sins. For Josephus in the eighteenth book of the Jewish Antiquities bears witness that John was a Baptist and promised purification (καθάρσιον) to people who were baptized (Cels. 1.47). Rothschild, Clare K. 2011. “‘Echo of a Whisper’. The Uncertain Authenticity of Josephus’ Witness to John the Baptist.” In Ablution, Initiation, and Baptism: Late Antiquity, Early Judaism, and Early Christianity, edited by David Hellholm, Tor Vegge, Øyvind Norderval, and Christer Hellholm, 255–90. Berlin ; New York: De Gruyter. That said, this testimony is no more than a hollow reference. The ensuing discussion does not concern John, but James and Jesus. Moreover, Origen does not present Josephus as a credible witness. Eusebius is second to cite Josephus’ Baptist passage and is possibly reliant on Origen to do so. However, Eusebius misrepresents or misconstrues A.J. 19.109-119, creating from an account about Antipas one about John and claiming that his own concatenation of sources and ideas corroborates the gospels of Mark and Matthew, even though Josephus does not. Eusebius also mostakes palcement of the Testimonium in A.J. and – although citing the passage about James according to extant versions – includes Origen’s otherwise unattested passage about James. At the same time Eusebius’ citation of Antiquities on John the Baptist (Hist. eccl. 1.11) matches the three oldest extant manuscript witnesses. A fair assessment of this data is not easily obtained. In short, the three different witness groups to A.J. 18.116-119, (1) manuscripts, (2) Origen, and (3) Esuebius each acknowledge but express different versions of the section under discussion. Scholars various explanations for the differences have not yet offered a compelling solution to these divergent witnesses and can at times flirt with speculation. “Most scholars today endorse the authenticity of Josephus’ three paragraphs on John the Baptist on the basis of (1) absence of significant Christian tampering; (2) coherence with the overall Antiquities narrative in which it is embedded; and/or (3) Origen’s and/or Eusebius’ reference to the passage. In contrast, this essay demonstrates that each of these bases is unsound … I have argued that A.J.‘s multi-author and or multi-source compositional project produced a corpus disposing itself all to well to editorial modification in transmission … If translators, co-workers, and sources were expoited, which no doubt they were – not to mention possible contributions by interpolators – then the Josephan corpus remains [a] collective enterprise from any historical vantage point. Reumann, “The Quest for the Historical Baptist”. Josephus’ account of Hyrcanus offering incense in the sanctuary is very similar to Luke 1:8-13 and Protevangelion of James account of Zechariah receiving a message from god while burning incense in the the sanctuary. This raises interesting speculation, did the story arise from an account about Hyrcanus, later applied to J the B’s father, or was the source a incident from a “gospel” about John the Baptist that was redacted and pre-dated to apply to Hyrcanus. Does Noam give a rabbinic parallel for this story? Yohanan the high priest heard a word from the house of the holy of holies: “The young men who went to wage war against Antioch have been victorious,” and they wrote down the time and the day. And they checked, and the victory was at that very hour. Rabbinic literature designates John Hyrcanus “Yohanan the high priest” . . .
It’s important to distinguish between an expansion and an interruption. In Noam’s example, Hyrcanus and Callimander have just been mentioned one after the other, then Josephus expands on both, one after the other. In comparison, Josephus writes of Herod spurring and interaction between Aretas & Vitellus. Then we get Herod interacting with JB. Then it’s back to Aretas & Vitellus doing what they were about to do to each other before the interruption. The fortress of Macherus cannot be both under control of Herod’s rival, Aretas, and a place were Herod can send his political prisoners. The aside, “the castle I before mentioned”, reeks of an interpolator trying to cover his tracks. The “CASTLE that I mentioned” in JA 18.5.2 refers back to the CITADEL in “although at this time they were laid up in the tower of Antonia, the CITADEL so called: and that on the occasion following.” in JA 18.4.3. In the original Greek the words are the same, and the Antonia is the only stronghold previously mentioned in Book 18. One of the problems with being dependent on translations is that the translator may not be consistent in how he translates a given word, and might use different synonyms to translate different appearances the same word. This suggests that the passage about John the Baptist had been dislocated from its original location by later redactors of Jewish Antiquities. Eusebius, in EH, Book 1, Chapter 11, when quoting Josephus Book 18 mentions John the Baptist first then, Jesus, the opposite of their current order in Jewish Antiquities. This is an indication that there was considerable variance between different manuscripts of Josephus’ works. Furthermore citations, translations and paraphrases of Josephus by Origen, Clement, Eusebius’ other citations, pseudoAmbrosius, Jerome, Cassidorus, Photius and Jacobus de Varagine indicate that the texts of Josephus were changeable. At this point in time it, is difficult to discern the original text and intent of Josephus among the subsequent scribal emendations, deletions, and introduction of disinformation by assorted apologists. The Apocryphal Acts of John posted on Tony Burke’s old web site (including The Life of John the Baptist by Serapion ) placed John’s imprisonment and execution in Jerusalem, as did the version of the Toldoth Jesu which mentions John as an advisor and co conspirator of Yeshu. The ruins of Macherus can be viewed on Google Maps. It is a remote location on the East side of the Dead Sea. I doubt that Herod Agrippa would have gone there with family, entourage and cronies to have a birthday bash and make an example of John the Baptist. Far more likely, that John was imprisoned, and had a show piece execution and public head display in Jerusalem where such an act would make a big impression and show the revolting am ha’aretz (עם הארץ ) what was in store for them if they misbehaved. Oh, I wasn’t concerned about ‘castle’ vs. ‘citadel’ or ‘fortress.’ I think referring to the aforementioned fortification is unnecessary; it has the feel of an interpolator trying too hard. For the hypotheses that the JB passage was originally located elsewhere, has anyone suggested a specific likely location? (1) The immersions are repeated, not one-time, and are best understood in terms of a study of Étienne Nodet, of initiation to social levels of formal status and purity requirements as reflected in Josephus’s description of Essene practices of War 2.129, 137-139, 150, and the haburim of rabbinic tradition. There is an initiatory, legal-witnessing component to first-time purification upon entry but there is also continuing purification following entry to that social circle. (2) The immersions accomplish purification in Jewish terms, not removal of sin. (3) The procedure is uncertain but may have been immersions done by oneself with or without witnesses assisting, indistinguishable from Jewish purification in the stepped-pool mikvehs found archaeologically in large numbers. (4) John’s ideology of purification, in which purification is to be done only by those already in a prerequisite state of moral sinlessness accomplished through right behavior for the purification to be acceptable to God, is exactly that of 1QS 3.6-12 and 1QS 5.13-14 of the Qumran yachad texts. It is not Pharisaic/rabbinic (purification is for all without precondition and unrelated to sin) or Christian (one time initiatory, removes sin). (5) John’s instruction that observant Jews “be united (with one another)” in practicing purification suggests social organization; compare access to communal food and drink of the Qumran Serekh texts for which purification by immersion is prerequisite for participation. (6) Josephus or his source may be criticizing Christian baptism, but it is also possible that Josephus, writing to gentiles, or his source is simply clarifying a common misunderstanding held by gentiles concerning Jewish purification. (7) The surname, “the Baptist,” “the Immerser” (Ἰωάννου τοῦ ἐτικαλουμένου βαπτιστοῦ), carries no necessary connotation that John was immersing other persons; the surname could come about because he was known for being an immerser or bather, or a teacher of such or leader of a disciplinary order practicing such. (8) It is not John’s purification-immersion teaching which prompts Herod’s murderous response, but rather John’s popularity among the public who are swayed by his words or public sermons—the implication is John is an alternative locus of popular authority raising the specter of insurrection—which is the issue to Herod. “The point of interest here is that every word of Josephus’s story of John would read perfectly well in the time of Herod the Great (37-4 BCE). The figure “Herod” of the story, if the story were read in isolation, would read perfectly well and naturally as Herod the Great. “Meanwhile, Hyrcanus II, the aged ex-high priest executed by Herod the Great, has long been presumed and understood to have been named ‘John’ on the basis of papponymy—the common Jewish practice of naming a firstborn son after the paternal grandfather. . . .
“Josephus’s John the Baptist story reads as a doublet or different version of Hyrcanus II chronologically dislocated to the time of the wrong Herod. In this case Josephus did not place the two versions of the death of Hyrcanus II close together in the same time setting as in some of the other cases of doublets. If Josephus had done that, the doublet in this case would have been recognized before now. Instead, Josephus mistakenly attached one of the traditions of the death of Hyrcanus II to the wrong Herod, just as he separately mistakenly attached documents to the wrong Hyrcanus. … my assumption … is that this is simply one more example in routine agreement with Josephan composition, an interpolation done by Josephus…. If Josephus were to interpolate into his own earlier draft a tangential passage about Herod and JB, why would he insert it smack dab between Vitellus receiving the imperial order to attack Aretas, and “[s]o Vitellius prepared to make war with Aretas”? Just prior to this, Josephus reports that “all Herod’s army was destroyed by the treachery of some fugitives….” Would not this be the place for a digression on some/all the Jews thinking this destruction was due to God’s displeasure at Herod killing JB? Reasons for where interjected stories or asides or comments or flashbacks are placed in written narratives surely vary, but it seems to me that it could be a structure of (a) story of war between Aretas and Antipas; (b) Aretas clobbers Antipas; (c) wrath of Roman empire decided against Aretas on behalf of Herod Antipas; (d) in contrast (responding to that), Josephus puts in his story saying that many Jews were AGAINST Herod, here is why… (possibly relevant is that Josephus seems negative toward Antipas in general?) (e) resumes story with outcome of Roman action, unexpected death of Tiberius, etc. Do you have some different theory as to why the story starts 2 sentences after the destruction of Antipas’s army rather than 0 sentences after? If you’re asking me to speculate which of the many logistical hindrances faced by outside interpolators led to this passage being inserted at that particular spot, I will decline, and instead note the original author is not subject to any such constraints. The placement of the passage is extremely awkward & disruptive, for reasons I’ve just outlined. If it was part of a thoughtful revision, Josephus had no need to be hasty in selecting. Going over his old words, thoughts of the popular explanations for Herod’s defeat would be brought to Josephus’ mind not by Vitellus’ command to prepare for a new battle, but by the prior defeat itself. Alternately, Josephus might well have chosen to elaborate on Herod’s JB ignominy much earlier, where he wrote of him being criticized for transgression of Jewish law, and then here briefly reference that aforementioned episode. Josephus not infrequently embarks on tangents, but it is not hard to follow his train of thought, and the tangents always arrive at a destination that enhances the main material. The JB passage does not perform this function. It seems odd to digress on the tenets of an obscure sect in the middle of a fast-moving discussion of realpolitik. But really, the onus here is not on me to explain why an interpolator would chose this particular location, but rather on those who argue for authenticity why Josephus, free to interpolate anywhere at all in his own work, would select it. I took liberty of reformatting the layout of Greg’s comment for easier screen reading. Gregory Doudna, are there any similarities noted by Jewish sects, between John Hyrcanus II and Elijah/Elisha. Not aware of any, db. If you are maybe looking for a contributing factor for the synoptic Gospels’ JohnB/Elijah connection, from my point of view that would have nothing to do with Hyrcanus II. Here is why: I think (a) the Gospel of Mark developed much of its John the Baptist figure, such as the execution by Herod Antipas, from Antiquities as a literary source, and (b) no ancient persons drawing from the Antiquities’ John the Baptist passage were aware that that was a misplaced story of Hyrcanus II. So what date range do you find likely for the composition of Gospel of Mark? Post-date of Antiquities, mid-90s CE terminus a quo. Is there any attestation on the circulation of the pertinent material of Josephus’s Antiquities over time, i.e. do we know the date that the Library of Alexandria had a copy? It has been noted in other comments that parts of Antiquities circulated separately. Brad McAdon (2017), “Josephus and Mark” Alpha : studies in early Christianity. Volume 1: 92-93. ISBN 978-1-936166-41-1. I stand by my assessment of the passage in DTG, that it looks like an accidental incorporation of a marginal note. But the info about John the Baptist is interesting. I think figuring out is #1 John the Baptist was real, and #2 if real, then when John the Baptist really lived is important, because if John the Baptist was a real person who lived at the time he is set in the Gospels, then that could be the answer to why Mark’s story is set in the time period that it is set. It could be set then because that’s when JtB lived and JtB was a necessary part of Mark’s story as he needed someone to play the role of Elijah in the Elijah/Elisha narrative. Do any of the gospels give any indication at all that their source for JB was history/tradition/memory? Is not their JB entirely a literary/theological construct? Not really. I think it’s always been the fact that JtB is mentioned by Josephus that given the impression that he was real. There is no doubt that the Jesus mentions in Antiquities are interpolations, but I haven’t studied JtB enough to pass judgement on that issue. Ultimately whether JtB was real or not doesn’t matter, but whether he was real or not could influence our understanding of aspects of the Markan narrative either if he was real or if he wasn’t. If he wasn’t real, then it’s clear why Mark created him. If he was real, and did live at that time, then it could explain aspects of the historical setting used by Mark. I was thinking that the historicity of a “John the Baptist” as a separate question from the sources for the JB in the Gospels. If Mark’s JB is a pastiche of OT texts then the question of the historicity of JB is arguably irrelevant or at best an incidental footnote. Compare Pilate. The gospel Pilate is not the historical Pilate. A historical figure has been referenced but the character and function of the figure is entirely fictional. True. That’s what I mean about JtB though. Is JtB like Pilate, or entirely made up? Thanks Roger for your link to your work in 2000. I can’t absorb much of it (it’s thick, and perhaps so am I) but is your point that the church fathers had no need to refer to Josephus as evidence, whether apologetic, or circumsantial, for the existence of Jesus? If so then are you concluding that there was never a challenge to Jesus’ historicity, so we should likewise not question it either ? Do you offer any other evidence, or do you think that the TF is sufficient, or do you consider the burden of proof on the skeptics ? So what I wanted to know was how many if the Fathers knew the whole work at all; and specifically if they knew the second half – the two halves travelled down the years independently. Obviously if hardly anybody quotes Josephus at all then failure to mention one part of his work is no indication of interpolation. So I just gathered all the refs. In this context I felt that knowing just how often Josephus is mentioned might be useful to people in this thread. I never respect people who talk about “burden of proof”. It usually means someone has made a claim, been challenged, and responded with “prove stuff to me or I win”. Everything I have read in the literature argues multiple lines of inference and evidence and arrives at statement of more or less probability and reasonable inference. 74: “The Testimonium Flavianum: The State of the Question,” in: R. F. Berkey/S. A. Edwards (eds. ), Christological Perspectives: Essays in Honor of Harvey K. McArthur, New York: Pilgrim 1982, 184. Now I don’t have Christological Perspectives at hand right now but I would be very surprised indeed if Louis H. Feldman used such a claim to conclude that the “TF didn’t exist”. We have also listed Church Fathers who knew of Josephus’s Antiquities: https://vridar.org/2009/03/06/josephus/ — which is part of a long series of posts that present a wide range of positive and negative evidence relating to the question of the TF that represented my understanding of the issues relating to the question at the time. In addition Origin specifically cited the 18th book of Antiquities, yet never cited this passage. Can I ask what your source is for this quote? Good to confirm that this one still circulates. Roger Pearse: A source that might be checked, regardless of whether the summarizer’s quotation was correct, is Michael Hardwick, in “Josephus as an Historical Source in Patristic Literature through Eusebius”. I recall Joseph Atwill’s views on the TF, that it’s not an interpolation, but rather, what I would call, if I understand him correctly, a pesher, with symbolic and esoteric meanings, for those in the know i.e. the Roman aristocracy in control of the church of the day. You are going to laugh or cry, but these diverse views and extracts, taking into account the perceived motives of the writers, and dare I say my own biases, lead me to question whether even Josephus was a historical person. Yes I am a conspiracist as well as a mythicist; it just makes the most sense of the big picture, that if Jesus was composite character, then so could any of the others be. JtB may have been based on streotypical radical prophets but his character could have morphed as easily as Jesus’ from “Jesus the Nazarene” to “Jesus of Nazareth”. I am expecting to wake up one day in the Trueman Show. What a fascinating world we live in ! One guiding mind for me is the late Carl Sagan, having read his book “Our Demon Haunted World”. Note that the two halves of Antiquities, books 1-10 and 11-20, circulated separately. I think the standard methods used by historians give us a good idea of what we can reasonably accept as historical and what is made up with literary imagination. I have many posts addressing this question with references to the discussions of many highly respected historians so I’ll just give a bare-outline summary here. Historians rely first and foremost on surviving stuff, statues, coins, inscriptions, etc. — those things give us a pretty sound reason to believe, say, Augustus Caesar existed. Next, we have literary evidence but here is where complications begin. Writings by persons who were alive at the time of the events and persons they write about are most important. And here is where we look for some corroboration of at least some of what those writers had to say by comparing their work with the coins, statues, etc. But we need to have confidence or at least some understanding of how those authors knew what they were writing about, etc, so they become even more valuable if we are told things about them as persons, what sources they used, their biases, etc. And if we have quite independent authors from the same general time and places then we can compare and see how well the corroborate each other. None of this is foolproof but the more of these sorts of details we have (corroboration with archaeology, knowledge of the interests and status of the authors, etc.) then the more confidence we feel can be reasonably placed in their works. But if all we have are written accounts from a generation after the events they claim to write about then our grounds for confidence diminish sharply. We have to ask how they know about those things that happened before their time? Sometimes the later historians tell us how they know, they cite their sources and reasons for believing what they write, and then our confidence in what they write can be restored. Of course, the further back in time we go the less surviving evidence we have for events. Historians don’t change the rules by which they decide what happened but they are obliged to ask more general questions that the limited sources enable them to answer. You asked how we can know if someone is fictional or real. The emperor Hadrian liked to “pretend” he was Hercules and wear Hercules outfit — which some images we have show him wearing. We know he was real, and not just a made up Hercules, because of the reasons above — evidence that can be verified. Take away all the Hercules regalia and we still have an emperor Hadrian there in the evidence. Josephus is known to have existed not only because we have works by him, but because of much of what he says in those works that we can corroborate, and because he introduces himself in a manner that gives us reasonable confidence that we know his biases and sources. We can have reasonable confidence that Socrates existed because we have genuinely independent accounts of him by his contemporaries. I don’t think any ancient historian would do history like this; for it would be quite impossible so to do. The sources don’t exist. This sounds more like how modern history is done, where there is a surfeit of sources. In ancient history you take what you have. That’s why the scholiast on Dionysius bar Salibi is quoted on the identification of 25 Dec. with Sol Invictus, despite living 9 centuries later. I highly recommend some discussions of method by the highly reputable Moses I. Finley — especially chapter 2 of Ancient History: Evidence and Models; also the 14th chapter of Aspects of Antiquity. 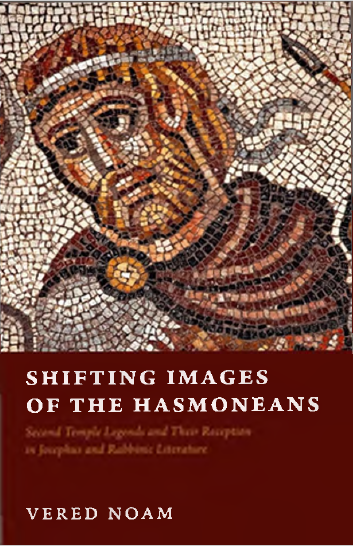 I have discussed these works along with those of other ancient historians, classicists and others many times here. There is no difference in principle between the way modern and ancient history are done. The difference is primarily in the sorts of questions that can be asked because of the limitation in source material. If a source is too late to be reliable for certain kinds of information in doing modern history it is equally too late to be reliable for the same kinds of information in ancient history. Ancient historians are not simply doing an invalid and unreliable history by comparison with historians of modern times. They tailor their questions and problems to fit what the evidence will enable them to answer. Links to various posts where the works of ancient historians and classicists are discussed can be found at How do historians decide who was historical, who fictional? I also suggest you read Niels Peter Lemche’s and Philip Davies’ works on the fundamentals of historical method. That’s why the scholiast on Dionysius bar Salibi is quoted on the identification of 25 Dec. with Sol Invictus, despite living 9 centuries later. I don’t believe that this particular datum reflects the larger enterprise of ancient history and its methods. I have never read any serious work of any topic in ancient history that turns to medieval sources to establish facts of a matter. The rules don’t change. The questions are tailored to fit whatever the nature of the evidence enables them to answer. Delbrück expressly warned against treating sketchy sources from antiquity as “acceptably trustworthy” simply because no reliable alternatives exist. Neil you’ve published such helpful material, it really is appreciated. Thanks for that link to your article of Feb. 2017 which I’ve printed and will read. So I’ll ponder on whether Josephus is a sort of Shakespeare, leading to more intrigue as to why anyone or group would want to invent Josephus. I tell you, my level of suspicion runs very deep, after the 911 fraud – if that can be perpetrated under the very noses of the modern world, then I don’t see it as a big stretch to conceive that Christianity (and Judaism and Islam) were concocted for and by political means and ends. Neil you mention the value of contemporary evidence. I totally agree. Yet I know senior historians teaching ancient history at Macquarie Uni in Sydney, through my membership of the SSEC (Society for the Study of Early Christianity), who point to the Babylonian Talmud as strong evidence for Jesus’ existence. What would be your response to that view ? Yes, I am well aware that not all historians live up to the best standards of their profession. I have posted on that many times, too — again with reference to discussions among the historians themselves. There are indeed lazy and romantic historians who cannot justify their reconstructions but they are called out by their peers in various works. That’s the beautiful thing about universities — students are free to challenge and call their teachers to account. It is easier for nutters to survive in the technology and science fields because their sloppy thinking in history type material does not impact on their work. The arts and humanities are much more difficult insofar as they are susceptible to ideology much more. Look at Jerry Coyne, for example, who is a great evolutionary scientist. But he keeps jumping out of his area of expertise thinking he’s smart enough to contribute to all sorts of political and social debates with the most embarrassing prejudices on show. I saw a little while ago a video of supporting Joseph Atwill’s conspiracy nonsense and it included persons who are serious historians… But of course they don’t discuss the conspiracy nonsense in the professional work they do. What is the difference between an evolutionary scientist “jumping out of his area of expertise” to comment on, say, anti-zionism vs. anti-semitism, and a librarian commenting on the same? We are all free to discuss any topic we like. But there is a difference here. I am punching up, while Jerry Coyne is punching down. That alone is a big difference. He is using his status to spread uninformed opinion. I trust and hope that the views I express are seen to be derived from a wide reading and grasp of the views of both sides and are not reduced to the level of demonization of an entire group. I hope I have never expressed a blanket accusation that one side or set of actions are motivated by sheer hate and bigotry, as Jerry does. You are being cryptic. Can you elaborate? We are not being cynical or engaged in some sort of put-down of scholarship, if that’s what you mean to be implying. I think there are issues that really do require serious discussion. “He” should read “she” for Vered Noam. How embarrassing. Thank you so very much for pointing that out.